Even though it is in its 61st year, the Sydney Film Festival is still far away from being an old lady. From an online archive to the HUB – the festival exhibits a youthful vibe and energetic appearance. 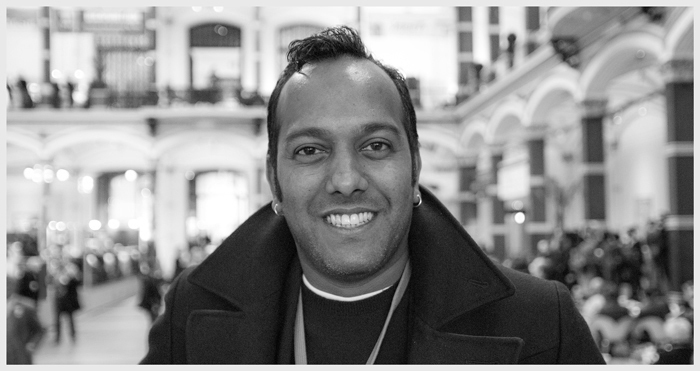 Nashen Moodley, Sydney’s Festival Director, personifies the festival spirit. We met him for a coffee at the European Film Market in Berlin and he gave us 3 big reasons why you should choose the Australian Film Market and the Sydney Film Festival. Forget the constant sun, surf and Kangaroos – Sydney Film Festival’s prestige and pedigree is what gives it the edge. Filmmakers that come to Sydney will have a great time. They can expect an energetic festival with lots to do, lots to see, an array of filmmakers from all around the world and an enthusiastic, informed audience. The screening rooms are packed and full of devoted cinephiles, many of whom make many return visits. What I think is extra special, and something no filmmaker should miss out on, is the the chance to network with their peers. For this, we have the festival HUB, a bar-exhibition space with an impressive array of events – including live performances, DJ sets, video/art installations and industry panels. It’s here that our filmmakers, both local and international, connect with each together, whether it’s over a quiet drink or at a party. The Dendy Awards for Australian short films has been running for several decades now and many Australian filmmakers have jumpstarted their careers after being screened here. They are a great gateway for young Australian talents. I believe that being selected is a very good step for young filmmakers – to win is an even better one! The winner also gets short listed for the Academy Awards! Australia has a huge cinema-going population and the Australian film industry is thus very important. Even though other regions have seen a downswing with fewer and fewer films being bought, Australian distributors are still mad about buying movies! Playing festivals like Sydney is highly important for a lot of films – they need the profile and the publicity of the festival to then enable the film to have a longer lifespan. Australian film festivals, and Sydney in particular, give filmmakers the perfect gateway into the film market. Of course, Sydney is very important domestically but don’t forget that we also have the International Competition. There are just 12 films in competition and the winner receives 60,000 AUD – quite a substantial prize for the winner! In short, FilmFestivalLife is a very intuitive and efficient platform to use. We find it very easy to combine with our systems and with such great support available, it is a pleasure to deal with.